Bullet Speed's Slingshot Quad Conversion Kit. Bullet Speed has proven to be a leader in innovation over and over again. If there is one thing that shows their capabilities it is this direct bolt-on Quad Kit. Zero fabrication is required! Complete kit installed , features; Formula 1 inspired push rod rocker independent rear suspension, Infinity G35 / Nissan 350Z rear differential 3.53:1 LSD base coat clear coat paint (your color choice) Wilwood disc brakes 12.1" Diameter cross drilled/slotted rotors. Inward mounted Wilwood Dyna pro 4 piston calipers (red or black) Hel USA brake lines Powder coated subframe, push rods and springs Billet CNC machined upper and lower control arms, Rear differential cover, Rockers, axel blocks CNC bent TIG welded DOM steel tube sub frame All manufacturing is done in house in their state of the art, Holiday Florida Facility, and of course installation is available there, however for North Eastern U.S or Canadian customers, Full sales and service, as well as installations are available from Approved Dealer, All Things Slingshot at Our Slingshot Body Kits.com facility in Ontario. Located just over one hour from Port Huron MI. 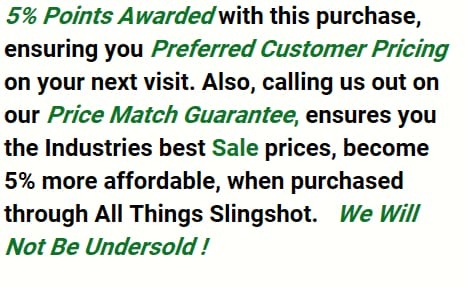 U.S. customers would just have to get their Slingshots to Port Huron and we will take care of the rest. Also, Slingshot Transportation from anywhere to anywhere is available upon request. This is a made to order item , please contact Kevin Adams for lead times and details at , allthingsslingshot@gmail.com All Prices are quoted U.S.D.